Training your new puppy can be both exciting and daunting. It’s best to begin teaching proper behavior in your pup as soon as possible to prevent any bad habits from forming. 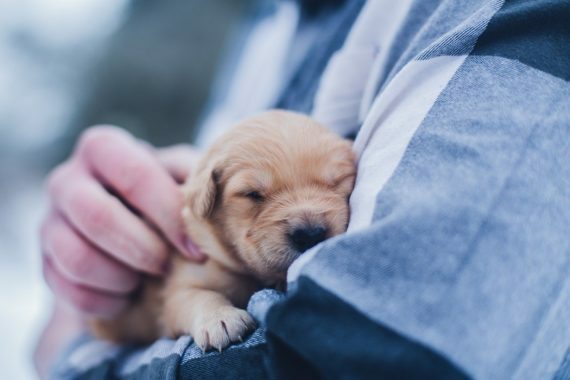 Early training and socialization will instill good behavior that will stay with your dog all their life and affect how they interact with others in the future. When educating your puppy, start by focusing on routines (when to go to bed, where to eat, etc.) and basic housetraining. 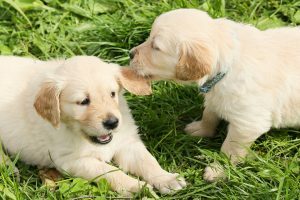 As they grow, work on curbing their biting and nipping, teach them basic commands and how to recognize their name, and help them become comfortable with new people and situations. If you reinforce these habits on a daily basis, you will soon have a well-trained new member of the family. If you follow the three Rs approach: (reward, don’t reprimand, and routine), you will be on your way to raising a well-behaved, loving companion. 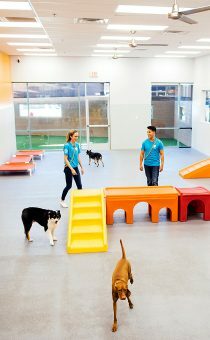 Rewarding your puppy whenever they do something good is an important component of their training process. This is because dogs will soon learn to repeat the actions that lead to rewards. 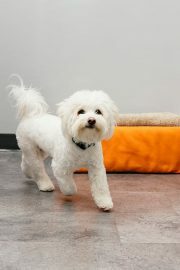 You can reward your pup in the form of treats, toys, play and cuddles! 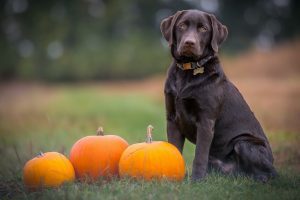 Although food lure training is an effective way to get your pup to obey commands, it’s important to not overuse this method, so your dog does not only comply when given food. 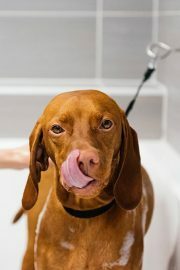 Likewise, it is important to remember that treats increase your dog’s daily caloric intake. 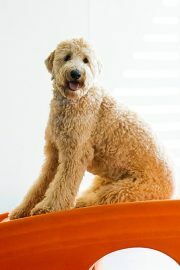 Consult your vet about a proper food plan for your dog in order to keep them at an optimal weight. It’s important to realize that dogs don’t understand cause and effect the same way humans do. Getting mad at your puppy for doing something wrong isn’t effective, since the dog will most likely not even remember what they did. It is much more effective to teach him an alternative behavior that he can perform. Sticking to a routine gives your new puppy much-needed structure in order for them to feel secure in their new and unfamiliar environment. 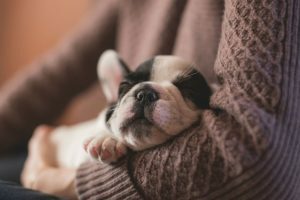 This means that the time your pup wakes up, goes on walks, eats, and sleep should all be done at the same times each day. 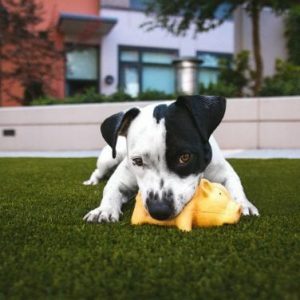 Walking your pup at the same time each day is also extremely helpful for potty training since your dog will learn that they can go during these set times. 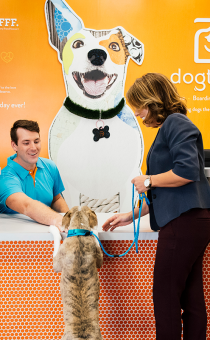 A well-balanced puppy needs safe socialization right from the start, which is why a puppy’s first day is FREE at Dogtopia! 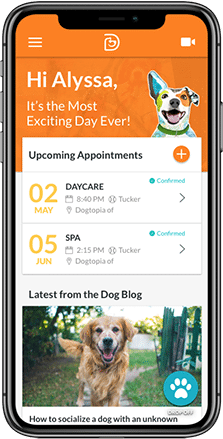 Learn more here or visit your nearest Dogtopia for more information.